Decades before P. Diddy, Jay-Z, and Russell Simmons, there was Frederick Bruce Thomas, known later in his life as Fyodor Fyodorovich Tomas — one of the most successful African-American musical impresarios and businessmen of his generation. Why isn’t he better known now? The first reason is that a century ago, white America had no interest in celebrating black achievement. The second is that he triumphed not in the United States, but in Tsarist Russia, which was one of the last places anyone would have expected to find a black American at the dawn of the twentieth century. As we celebrate Black History Month, Thomas’s story — which until recently was virtually forgotten — provides a striking example of how blacks who fled the United States to escape racism could rise to the top of the economic pyramid in Europe and elsewhere, despite the wars, revolutions, and other hurdles they had to overcome. Thomas was born in 1872 in Coahoma County, Mississippi and got his wings from his parents — freedmen who had become successful farmers. However, since the Thomas family lived in the Delta — which has been called the most “Southern place on earth” — their prominence was also the cause of their ruin. In 1886, a rich white planter who resented their success tried to steal their land. After fighting him as much as they could, the Thomases decided it would be prudent to get out of harm’s way and moved to Memphis. Several decades before the Great Migration began, Thomas left the South and went to Chicago, and then Brooklyn. Seeking even greater freedom, he went to Europe in 1894, several decades before some black Americans began to seek a haven in Paris. 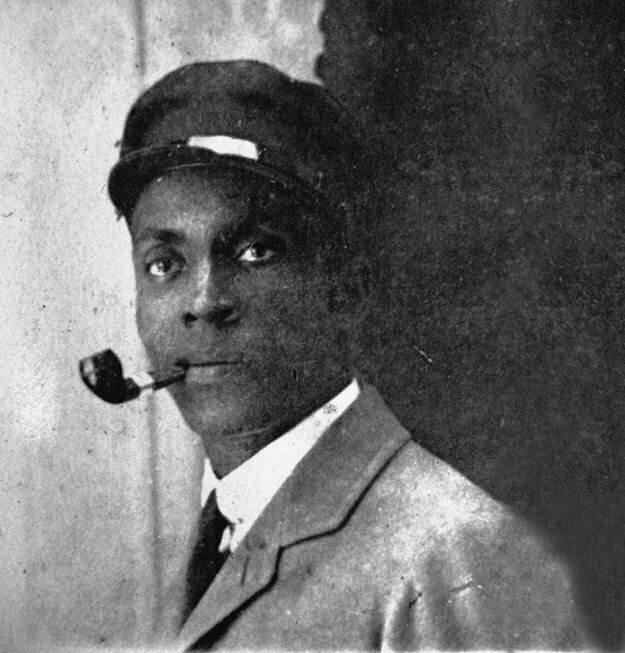 And in 1899, after crisscrossing the Continent, mastering French, and honing his skills as a waiter and a valet, he signed on to accompany a nobleman to Russia, a country where people of African descent were virtually unknown. Frederick Bruce Thomas, Paris, c. 1896. Public Domain via Wikimedia Commons. Thomas’s career in Moscow proved to be more successful than he could ever have imagined. He found no “color line” there, as he put it, and in a decade he went from being a waiter to an owner of a large entertainment garden called Aquarium near the city center. Within a year of acquiring it, he had transformed a failing business into one of the most successful venues for popular theatrical entertainment in Moscow. Were it not for the Bolshevik Revolution of 1917, Thomas would have happily spent the rest of his life in his adopted country. He married twice, acquired a mistress who became his third wife, and fathered five children. He also took Russian citizenship, and was possibly the first black American ever to do so. To save himself, Thomas fled Soviet Russia. In 1919, after surviving hair-raising perils, he managed to reach Constantinople. Although he had lost all his wealth, within three months of arriving he opened an entertainment garden on the city’s outskirts. He was the first person to import jazz to Turkey, and its popularity among the city’s natives and swarms of well-heeled tourists consolidated his success and made him rich once again. Perhaps if the United States ever becomes a genuinely post-racial society, Black History Month will fade in importance. But in the meantime, we can at least try to recover and remember the lives of extraordinary individuals like Frederick Bruce Thomas. Heading image: Red Square, Moscow. Public Domain via Wikimedia Commons. Vladimir Alexandrov is the B. E. Bensinger Professor of Slavic Languages and Literatures at Yale University. He is author of The Black Russian (New York: Grove/Atlantic, 2014).